After waiting years for season 3 of Wakfu, tided over by the OVAs, Aux trésors de Kerubim and the Dofus movie, I was extremely excited for these too-brief 13 episodes. Especially because making Ankama animations is expensive and if the season isn’t a big enough success, it may be the last we ever see of Yugo and co. So it was with great eagerness that I dove into the World of Twelve once again. And ultimately, I have to confess that I’m a little disappointed. The set-up was very promising – after the previous seasons and OVAs dealt with the threats of the Eliacube, the mysterious Eliotropes and perhaps the biggest worldly threat, Ogrest. In this season, I thought we would be turning to the final, most powerful beings – the twelve gods. And while they were broached and were central to the plot, they were in no way the season’s antagonists or a tangible presence. The other major strands to be taken care of were centred on Yugo’s interpersonal relationships. First, his shattered bonds with his brother Adamaï, teased as the season’s antagonist after growing up to look very much like Frieza. Second, his feelings for Amalia. The former actually led to a pretty roundabout and unsatisfying character arc where it seemed unlikely Adamaï should have gone down the path he chose or done the things he did to his former allies. The latter was stirred and broiled this season and provided some of the best emotive moments, but of course could not be resolved. But ultimately all of this took a backseat to a very disappointing overarching story. The antagonist was intriguing at first but was soon revealed to be rather uninteresting with a lame plan and borrowed power. Rather worse, his plan revolved around that most tired and uninteresting of anime tropes, the floor-by-floor tournament in a big tower. Not only was his motive unconvincing – with none of what he planned for in the tower actually unfolding and it all eventually just falling apart on him – it meant most of these precious final episodes were spent on things like talking to a little girl about animals or playing a weird physical pinball game with a creepy pantie fetishist. After the Dofus movie kicked up the storytelling excitement so much I had high hopes for this season, but ended up let down to the end. There also seemed to be a real lack of attention to detail. There’s a lot we just aren’t told. What happened to Chibi? Why were there some demigods we didn’t even get an introduction for? Who was going to replace Xelor, Hareboug? And did Harebourg and Coqueline’s animals share the fate of the pocket dimension? What happened in the Sadida kingdom after Amalia left it? Will Rubilax consider his contract filled and seek freedom, even if he of course is just a big tsundere and likes being around Pinpin? Couple all this with an unsatisfying cliffhanger ending, some obvious recycled animation that highlighted a stretched budget and way too much focus on Iop fights that really didn’t bring anything new to the adventure and there was a lot of disappointment. Which isn’t to say it was all bad. 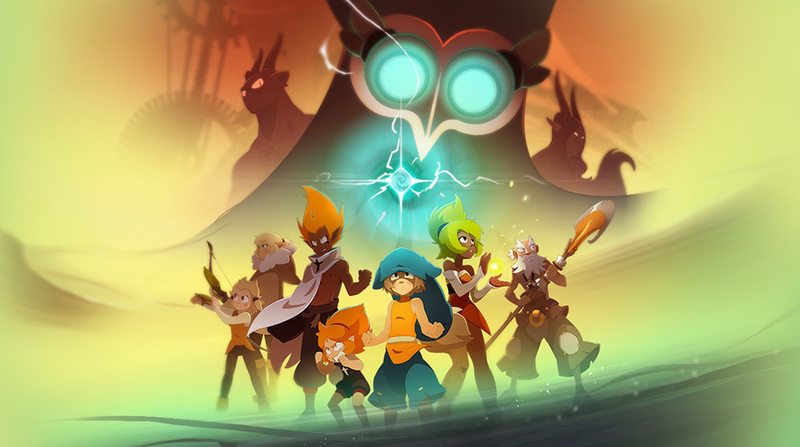 Every episode was in some way a joy to watch and I still love Wakfu in general and was excited right until the end, even if I feel a little let down overall. If there’s more, I will absolutely be watching it. It was nice to see Yugo just a little grown up, having grown out of his weird bulgy forearms. And the kids, Elely and Flopin, were a joy – Flopin was adorably soft and caring while Elely was her father’s daughter, strong, bold and always upbeat. And even if only a little, it was nice to finally have some Ruel backstory and development. While I miss Wakfu being a simple story of adventurers on a quest, moving it to more serious and ambitious territory was absolutely a good move. But the moment the show took everything to a tower in a pocket universe, with a vague plot about suicide bombing a dimension we know next to nothing about, there was a severe lack of emotional stakes and pretending Tristepin was going to die for the fiftieth time wasn’t going to cut it. It’s also telling that some of the most moving moments we saw were just visions inside the characters’ heads – especially inside Yugo’s, where he’s tormented by old antagonists who always were more interesting than him. I really do want to see what happens to Yugo and the rest. I want to see Elely and Flopin and the new baby reach their potential. I’d like to see them clash with the gods and challenge them to be less complacent. I’d like to know what can become of Yugo and Amalia. I’m still hugely invested emotionally in this world and enjoy the episodes. It’s just that I had very high hopes and I feel a little let down. Not because I feel my expectations were unrealistically high. Just that I hoped Ankama would be able to at least move me as much as they did with the Dofus movie with characters that I care about more. But that wasn’t going to happen floor-by-floor in a tower in a pocket dimension.